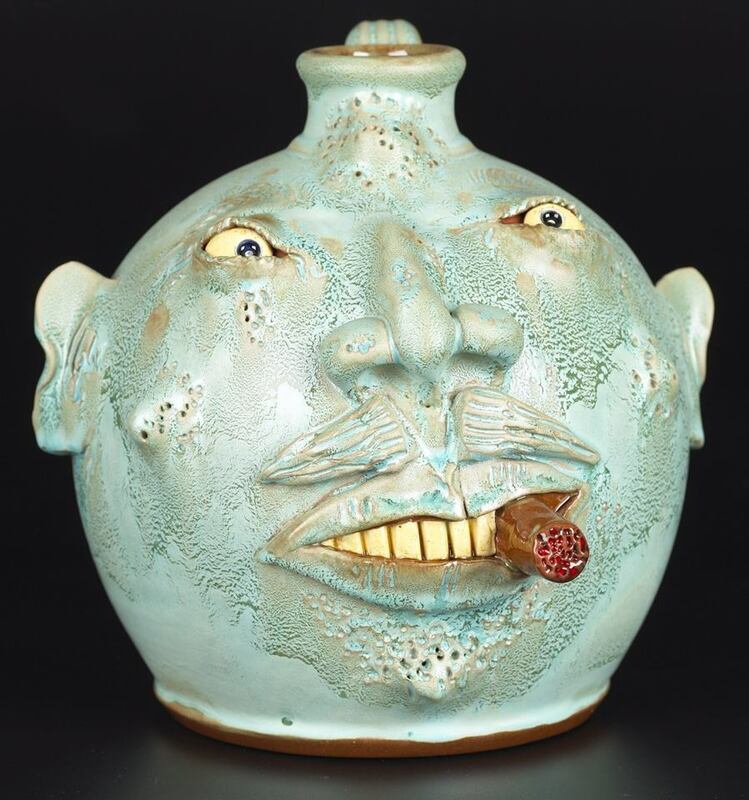 When a potter decides to make a jug in a human form or decorateit with a face, they are part of a tradition shared by potters around the world. 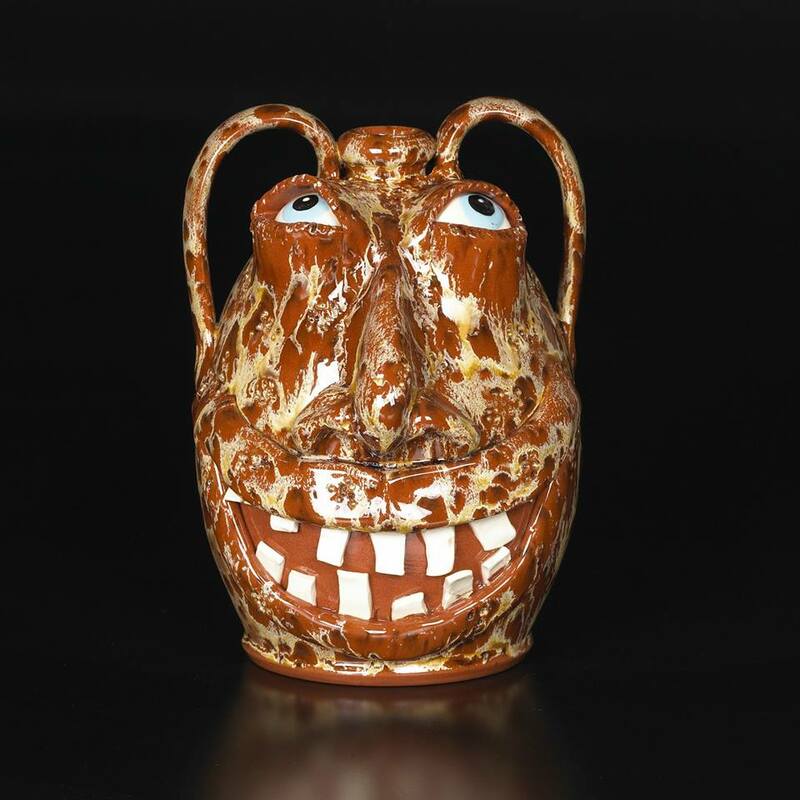 For centuries anthropomorphic vessels have been made. 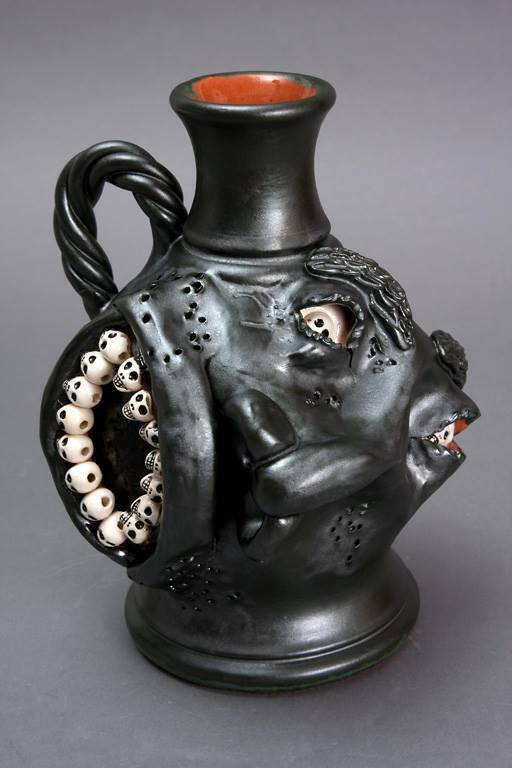 Historically, the majority of these were made for funerary or ritualistic purposes such as the Egyptian Canopic jars, Narayit figural vessels, and the German Bellermine jugs. 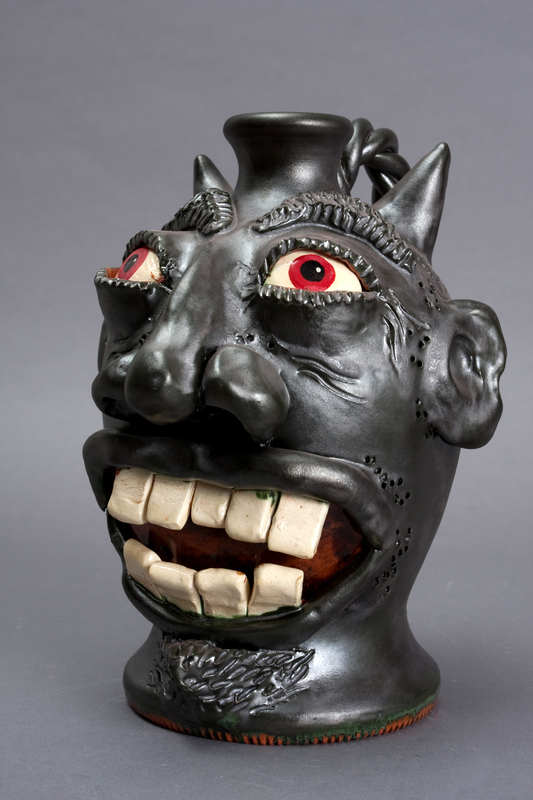 Others such as Moche ( Peru )and Mangbetu ( Zaire ) portrait vessels, were associated with nobility and ruling classes. 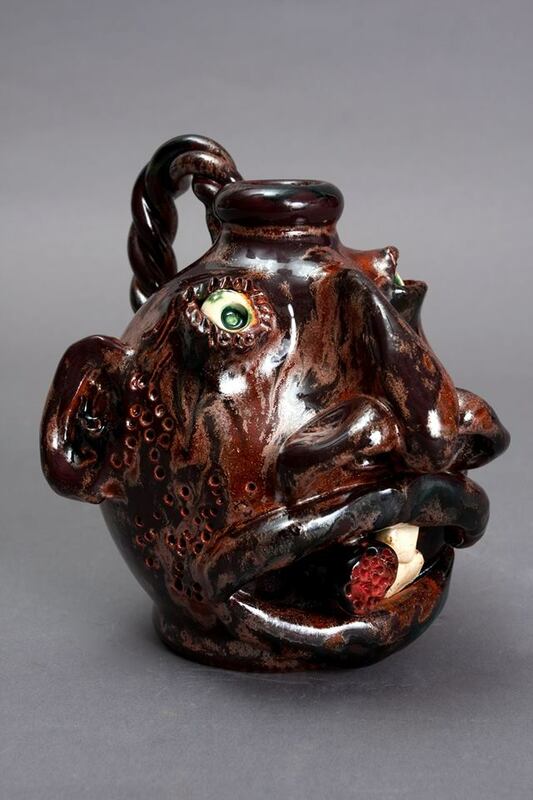 In the United States, the tradition of making face jugs began around 1810 in the North with potters whose goods were competing with those wares from England. 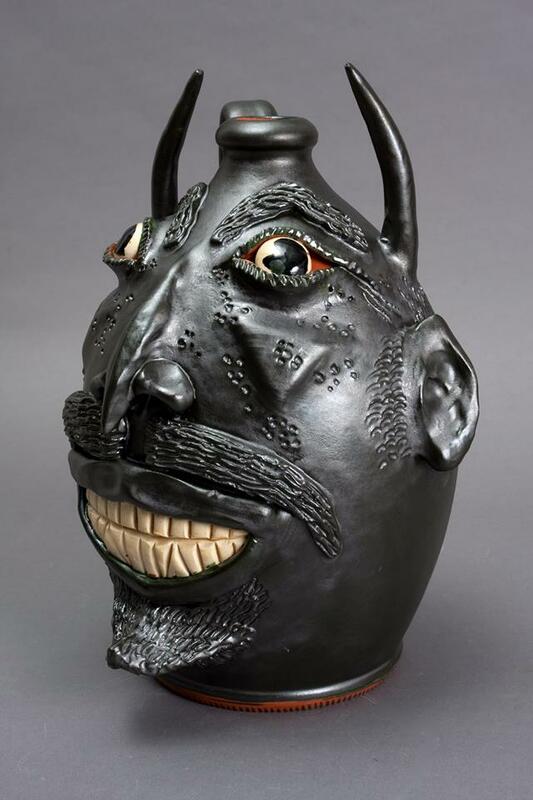 After the Civil War, face jugs were being made in the South and the Midwest. 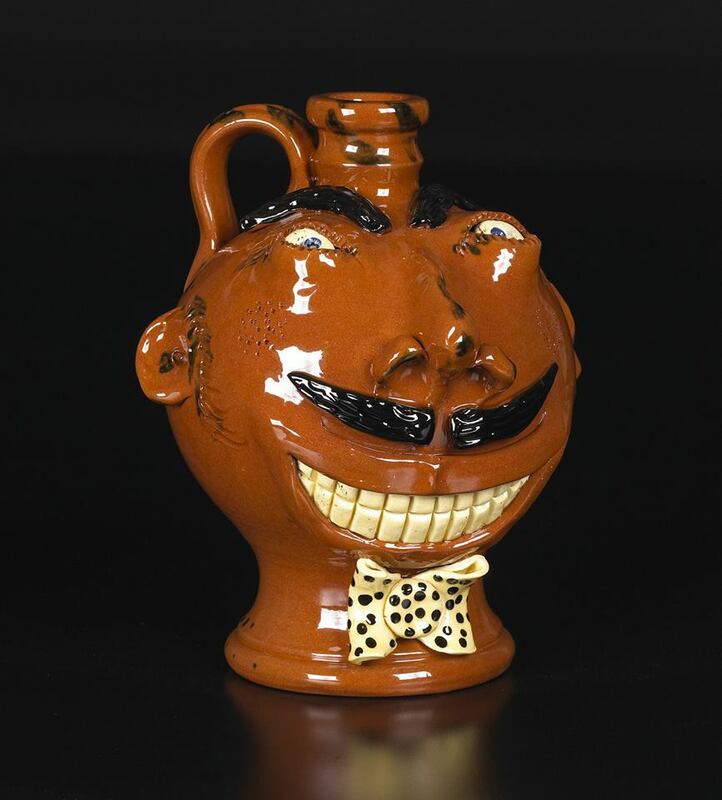 Since the 1840’s Southern potters have produced thousands offace jugs which originated in Edgefield, South Carolina. However,the pupose of these earliest pieces, aside from holding liquids,is still a mystery. 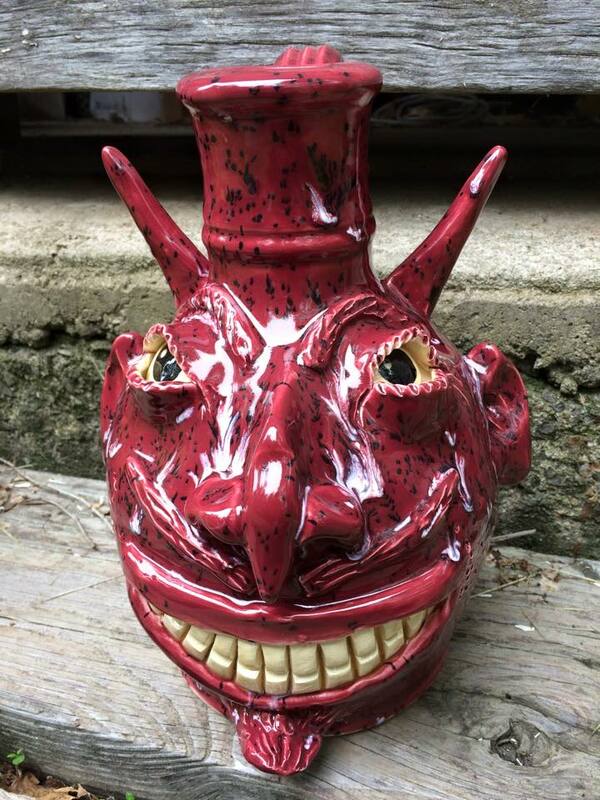 Today, with respect to this tradition, The Nolde Forest Potter, Wesley Muckey continues to make face jugs. 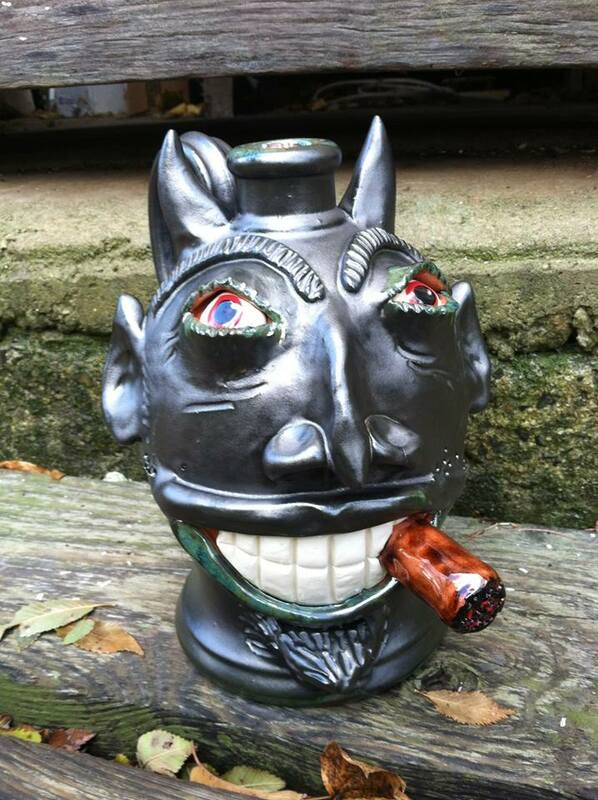 All face jugs are hand signed, dated, and even given a name.